Filet mignon and sliders. Sushi rolls and fish and chips. 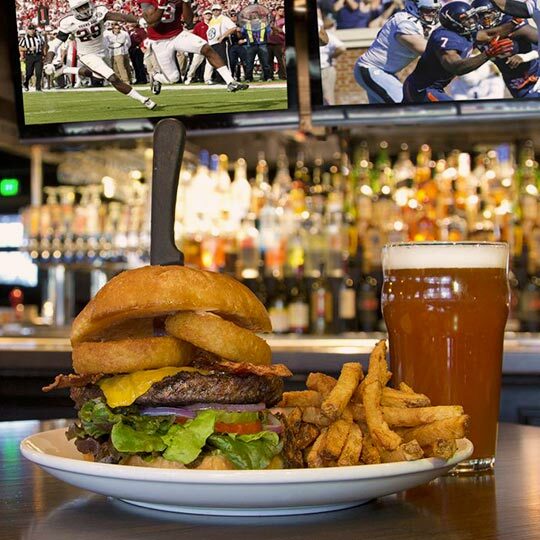 Tempe’s Thirsty Lion Gastropub & Grill specializes in traditional sports bar fare with an upscale twist featuring burgers, pizzas, salads, sandwiches, from-the-grill meat, seafood plates, seasonal selections, and more. Where friends and family can come together to celebrate, enjoy great food, craft beers, cocktails, wines, music and sports.